At the end of the day, business success is all about the products you build. You can have ingenious technology, brilliant managers, clever marketers and talented salespeople, but your business is still going to rise or fall with your ability to create great products – and to do it over, and over, and over again. Of course, that is far easier said than done – it requires a level of product development and design talent that is not easy to find. A decade ago, engineering was the talent bottleneck in Silicon Valley. In 2013, it’s not. You can outsource software, logistics and even revenue generation, but you can’t outsource product management. Startups need founders with a product focus – and they need to figure out how to spread a product-focused mindset throughout the team to keep the company growing. That’s why KPCB is launching ProductWorks, a new program that will provide entrepreneurs with support to create world-changing products. As part of that effort, I’m taking on a new role: I’ll be KPCB’s chief product officer, working with entrepreneurs to transform good ideas into great products. The legendary design guru John Maeda, who announced last week that he is leaving the presidency of the Rhode Island School of Design to join KPCB, will bring his formidable design expertise to ProductWorks. In addition, we will have the support of industry leaders in the KP Product Council, and a source of new topnotch talent through the KP Product Fellows program. There’s a tendency to lionize great entrepreneurs as visionaries born with rare innate skills, but that’s an exaggeration. Leonardo Da Vinci was a visionary. 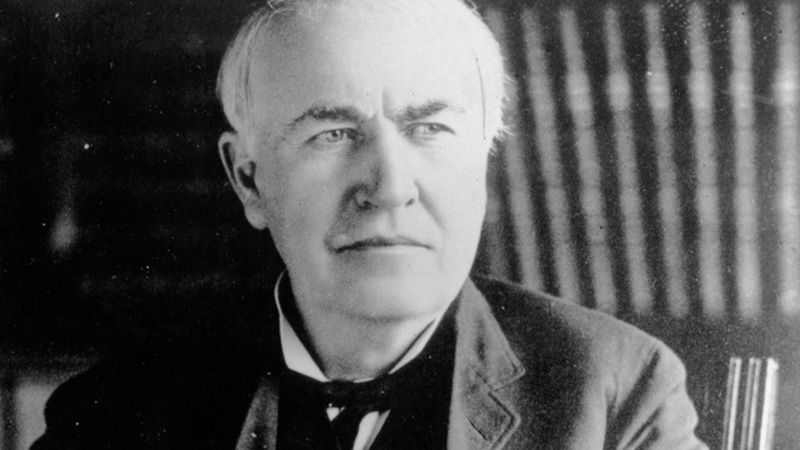 Thomas Edison was a product genius – and he knew that what made him successful was product iteration and hard work. While it would be great to have more Da Vincis, what we really need is more Edisons. Sounds easy, right? Well, it isn’t. Great product leaders are expected to have the empathy of Yoda, the analytic skills of Mr. Spock, the decisiveness of Captain Kirk…and the charisma of James Bond. It is a rare combination of skills – but there are clear examples. Steve Jobs and Jeff Bezos led the way. Facebook’s Mark Zuckerberg, Square’s Jack Dorsey, Path’s Dave Morin, Flipboard’s Mike McCue, Nest’s Tony Fadell and Pinterest’s Ben Silbermann are the new dukes of customer delight, the nabobs of net promoter scores. The trouble is, you can’t learn to build products in any leading university…yet. There is no Ivy League of Invitation Flows, no U.C. of UX to offer a degree in user experience. Today’s iconic product heroes cobbled together ad hoc curriculum in the school of life, the way Steve Jobs famously studied fonts and Spotify’s Daniel Ek dove into guitars. Some studied at the knees of masters, like Fadell and Morin did with Jobs, or Zynga’s Mark Pincus did with wireless pioneer John Malone. Or they got lucky, and found live customers early on, and iterated in the process that IDEO founder David Kelley calls “design thinking.” Ben Silbermann admitted that Pinterest was created “not as an epiphany” but as a series of small steps. And that gives us all hope: Genius may be born, but innovation can be learned. Which is why we’re launching ProductWorks.